Forts are constructed by erstwhile kings of India as part of their royal living or to protect them and his kingdom from enemies. These forts have several stories to tell. All most all have witnessed several rulers with passing time and suffered from several wars fought between owner and the outsiders. Some forts have grown over time as kings added new sections of Mahals to the main fort. 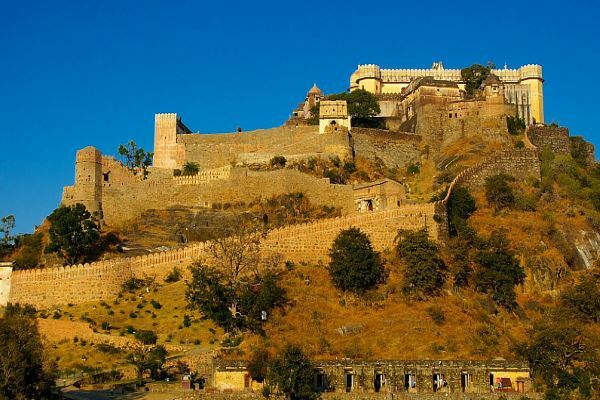 The boundary wall of Kumbhalgarh fort is 35 KM long and is next to big wall of China. Some of the rulers have preserved their weapons, books, furniture, dresses, gift items and several other articles. There are libraries maintained inside forts for the benefit of researchers and historians for their studies. One such example is city palace of Jaipur. The ruler of Bikaner has kept all such items inside Lallgarh palace and opened a museum for the tourist. It is not only the small items, the meter gauge rail compartment used by royal family is kept here. 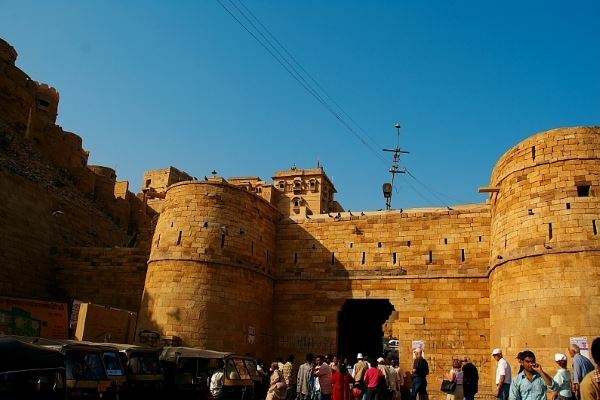 Jaisalmar fort is where many families still leave inside. Unlike other forts you will see many movements inside the fort boundary. Chittorgarh fort has villages inside it. Part of the city palace of Udaipur is used as hotel. Umid Bhavan palace of Jodhpur is maintained by a famous hotel group of India. Guests enjoy the hospitality in a royal atmosphere in these palace hotels. During sixteenth century Mughals used the Gwalior fort as state prison. The main entrance door is quite significant in total construction of the fort. Very carefully these doors are designed to server various purposes. Outside the main door of Golconda fort there is a curtain wall to stop elephants from run and hit to break the door. At the top of door there is openings to pure hot oil on the top of the enemy assembling in front of the door. Like this there are several strategies being adopted at different forts to prevent strangers entering inside the fort. There are occasions when for months together forts were inaccessible to outside invaders and given safe haven to the occupants. Doors of Chittorgarh fort have iron nails to stop elephants from hitting and breaking the doors by head. 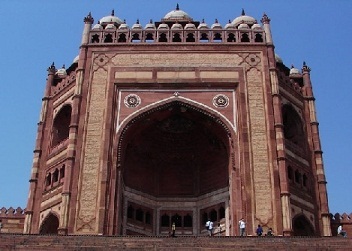 However the door of Fatehpur Sikri , Buland Darwaza or victory gate is the biggest among all gates of the fort. At Mehrangarh fort tourist are welcomed by local musicians by playing folk music at entrance gate. Continuing the tradition today Indian army is camping on Agra fort. This part of fort is not accessible to tourist. Some forts have temples and Masjids inside them. There are 300 Jain temples and 60 other temples inside Kumbhalgarh fort. Some of these temples are still visited by locals and daily pujas are offered by appointed priests. In many forts light and sound show is organized in evening. If you are interested to know about the history and story associated with the fort then you must attain this program. Voice of several famous film stars are used in the program. 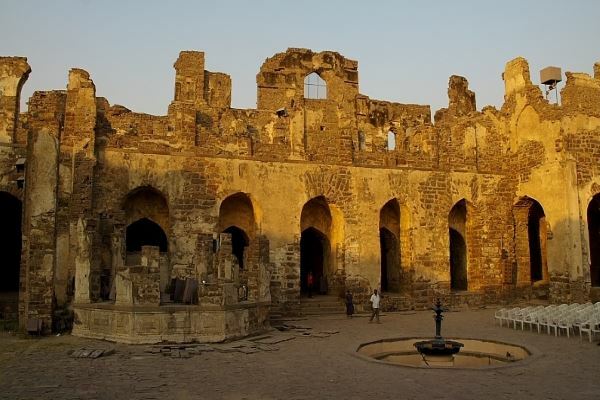 The big B Amitabh Bachan has contributed in this show at Golconda fort Hyderabad. These forts are quite popular among international tourists. Some of them like Fetehpur Sikri falls in the popular golden triangle consisting of Jaipur , Agra and Delhi tourist destinations. It is difficult to conclude which is the best fort in India. However we tried to categories some on different accepts, uniqueness of a fort.